Bernardo J. Carducci (Ph.D., Kansas State University, 1981) began his academic career in 1970 at Mt. 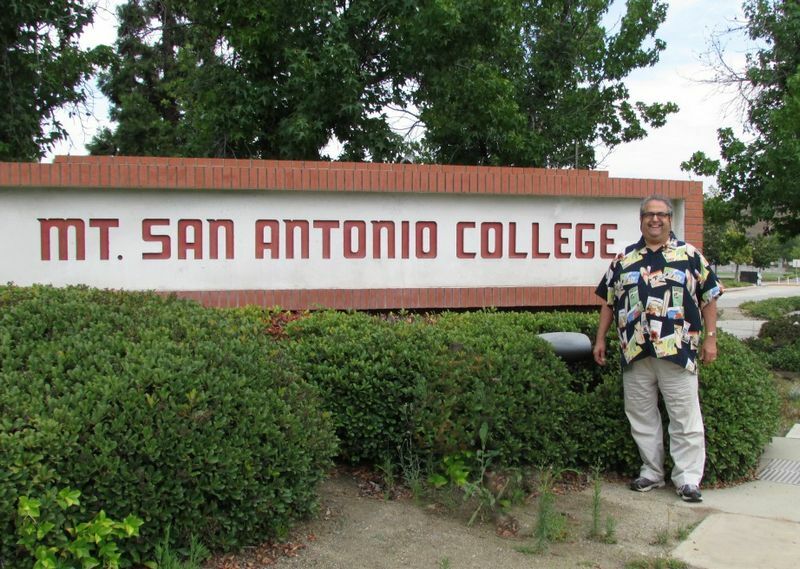 San Antonio Community College (CA) and later transferred to Cal State University at Fullerton to complete his BA and M.A. in psychology, and earned his Ph.D. from Kansas State University. Dr. Carducci is professor of psychology at Indiana University Southeast, where he teaches introductory psychology every semester, career planning for psychology majors, and personality psychology, and directs the Indiana University Southeast Shyness Research Institute ius.edu/shyness, which was established in 1997 to serve as a clearing house for information on the topic of shyness. He is a fellow of Division 1: General Psychology, Division 2: Teaching of Psychology, and Division 52: International Psychology of the American Psychological Association, past national president of the Council of Teachers of Undergraduate Psychology, current member of the Journal of Social Psychology editorial board, and founding editorial board member of the Journal of Business and Psychology. Bernie is the author of The Psychology of Personality: Viewpoints, Research, and Applications (3 to being a member of Psi Chi since 1973, Bernie was made an Honorary Member of Psi Beta in 2011 (see photograph). For the past 30 years, Bernie has been involved in the study of the nature and dynamics of shyness. In the November/December 1995 issue of Psychology Today, Bernie coauthored an article with world­ renown psychologist and pioneering shyness researcher Philip G. Zimbardo titled “Are You Shy?” This article was written in celebration of the 20th anniversary of the publication of the groundbreaking title “Social Disease Called Shyness” by Zimbardo and his colleagues and was intended to serve as an updated review of the study of shyness since the original 1975 PT article. Like the original 1975 shyness article, 1995 article served to ignite a resurgence of interest on the topic of shyness that still continues today. Bernie is the author of six Popular Press books related to shyness, including Shyness: A Bold New Approach (which has been translated into seven languages), The Shyness Workbook: 30 Days to Dealing Effectively with Shyness, The Shyness Workbook for Teens, The Shyness Breakthrough: A No­Stress Plan to Help Your Shy Child Warm Up, Open Up, and Join the Fun, Shyness: The Ultimate Teen Guide, and The Pocket Guide to Making Successful Small Talk: How to Talk to Anyone Anytime Anywhere About Anything. In addition to his research interest in the study of shyness, Bernie’s professional writings related to such topics as teaching activities to enhance classroom instruction, student development, and career opportunities for psychology majors (i.e., “What can you do with a psychology degree?”) have appeared in Teaching Psychology: A Handbook, and many American Psychological Association-sponsored publications on teaching. In addition to sharing his interest in the study of personality and shyness with his colleagues and students, Bernie is also passionate about sharing this information with those outside of academia whenever and wherever asked to do so. More specifically, in addition to his multiple appearances on ABC’s “Good Morning America” and other national and international media services, including the BBC, Bernie’s writings and advice have been featured in such diverse sources as Psychology Today, U.S. News and World Report, USA Weekend Magazine, Vogue, Allure, Cosmopolitan, Glamour, Self, YM, TWA Ambassador Magazine, JET, Parenting Magazine, Walking Magazine, Good Housekeeping, Real Simple, Essence, Child Magazine, Reader’s Digest, Patents, Redbook, First for Women Magazine, Esquire, The Futurist, Entrepreneur, Fitness Magazine, TIME.com, USA Today, WebMD, The Chronicle of Higher Education, The Wall Street Journal, The Chicago Tribune, The London Times, The Los Angeles Times, and The New York Times, to name just a few. In addition to his academic activities, he is also involved in his community. For over ten years, eight of those as treasurer, Bernie served on the Board of Directors of the Southern Indiana Transitional Shelter, which provided independent­living housing to abused women and their children. As a reflection of the pride he has in his Italian heritage, Bernie is a longtime board member and president for the past ten years of the Italian ­American Association in Louisville, KY LouisvilleItalians.net and principal organizer of the area’s Festa Italiana. Finally, as his crowning life achievement, he is the loving father of his only child, Rozana Carducci, and nonno to his granddaughter, Caiden.